AFRICAN AMERICAN REPORTS: Are New Army Hair Regulations Discriminatory Toward Black Women? 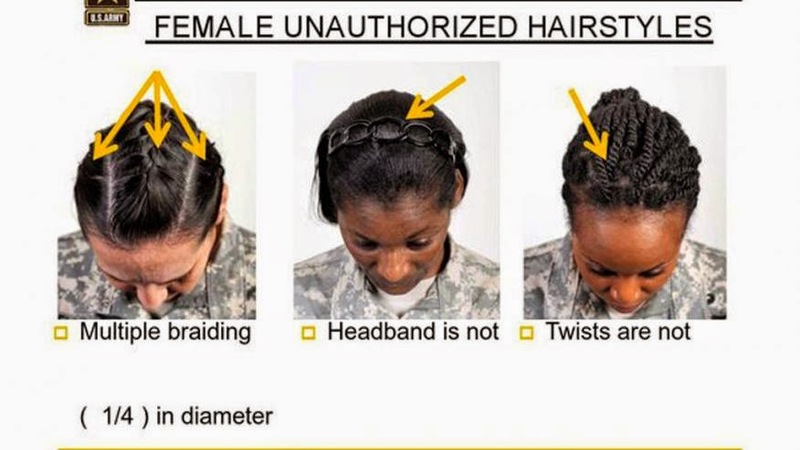 Are New Army Hair Regulations Discriminatory Toward Black Women? 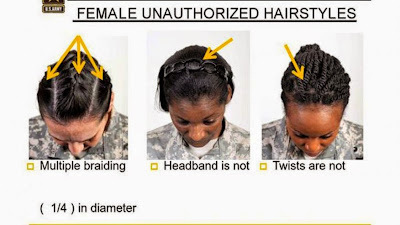 The Army earlier this week issued new appearance standards which included bans on most twists, dreadlocks and large cornrows -- but some black military women feel they have been singled out. New Army regulations meant to help standardize and professionalize soldiers’ appearance are now coming under criticism by some black military women, who say changes in the hair requirement are racially biased. Some black military women, who make up about a third of the women in the armed forces, feel they have been singled out with these new regulations.